Jingle bells, jingle bells, jingle all the way! There’s nothing more Christmassy than these bells! 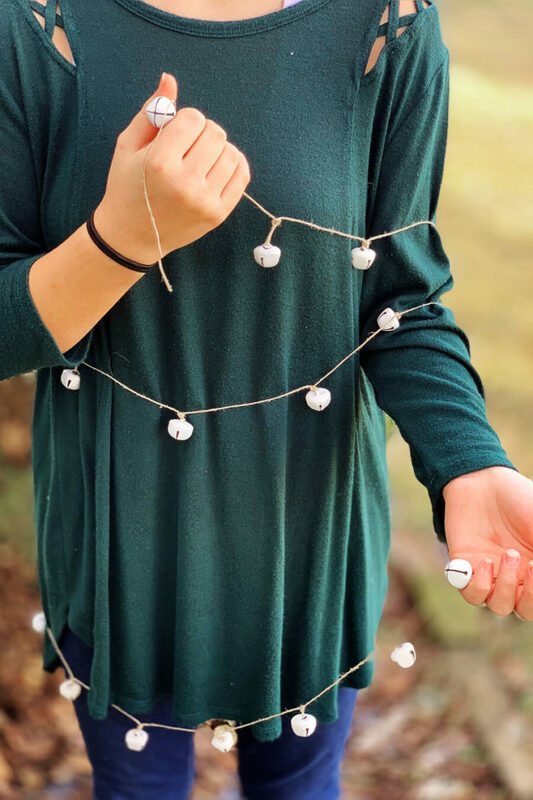 That’s why incorporating these little cuties into your Christmas decor is a good idea to make a hint on traditions yet give your bells a modern feel. 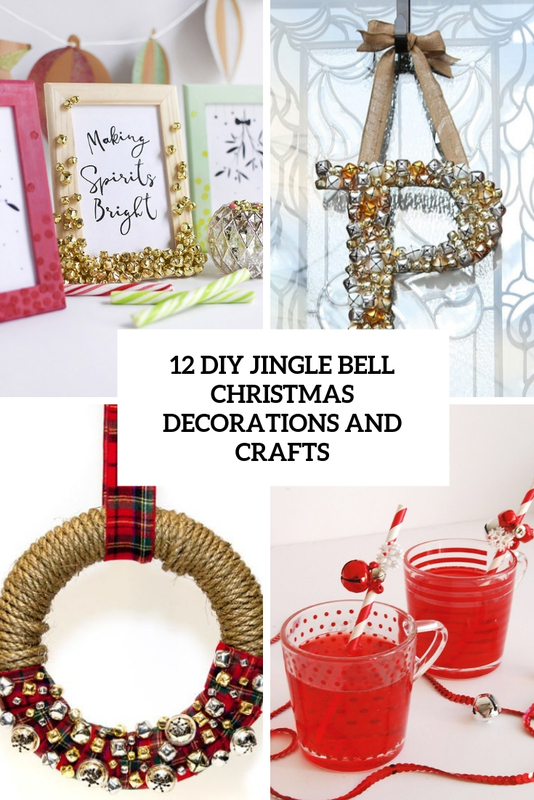 We’ve already shared Christmas ornaments of jingle bells, and now I’m going to show some more DIYs to make other things, find your tutorial here! Add some serious cuteness to your Christmas tree or other spaces and items with this easy DIY jingle bell wreath! The idea is pretty simple: take some wire and attach bells to it forming a wreath of a needed shape, size and color. Add a pretty bow and voila, your decoration is ready! 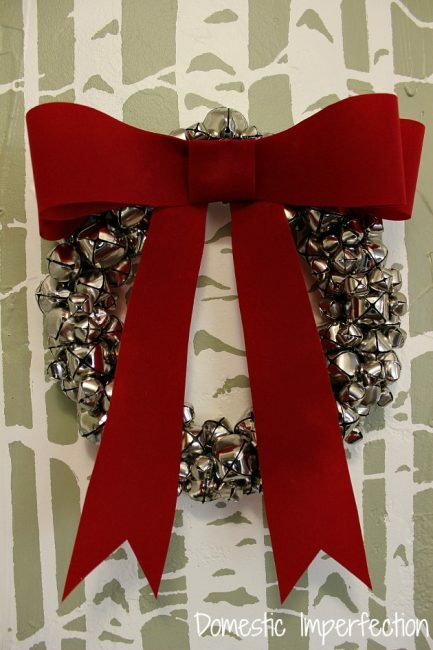 Jingle all the way with this bell-covered wreath! 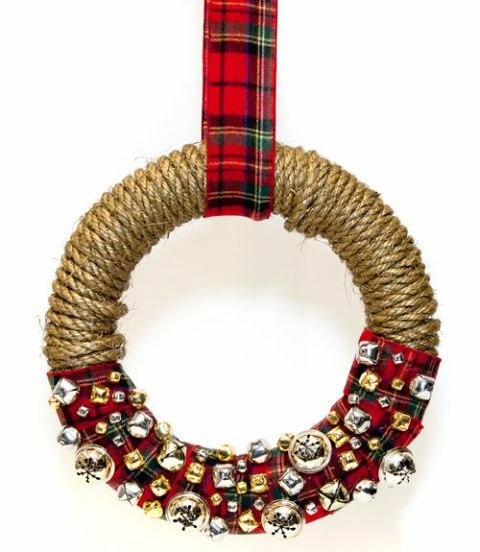 The piece looks very cozy, traditional and rustic at the same time: it’s a wreath covered with gold rope, plaid ribbon and there are large jingle bells attached to it for a chic touch. 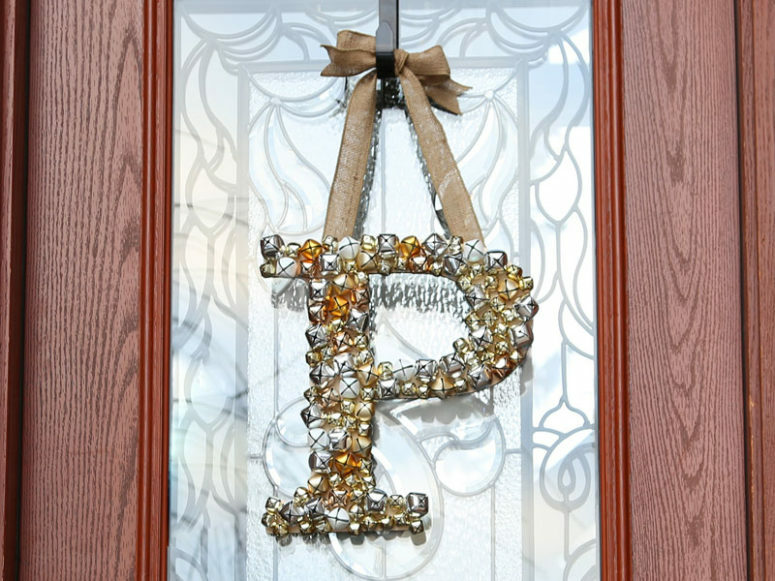 The craft itself is mostly about gluing and spray painting, make it and spruce up your front door with it. 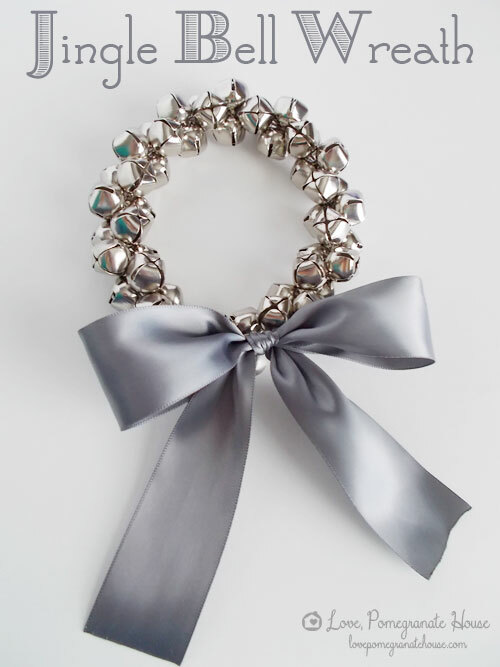 This fun and shiny Christmas wreath is all made of jingle bells! The cool and shiny Christmas wreath is decorated with a cool large red bow to give it an even more traditional look. You can skip the bow completely or do a small one or whatever, but when it comes to Christmas decor and bows it’s go big or go home, in my opinion. Great holiday hostessing is all about those little details coming together: it’s making sure umbrellas are available in case of rain, having a candle burning in the bathroom, placing vases of fresh flowers out, and remembering that Julie’s husband doesn’t eat garlic. You want your guests to feel comfortable enough to lounge on your couch, but special enough to be eating off of your finest china. 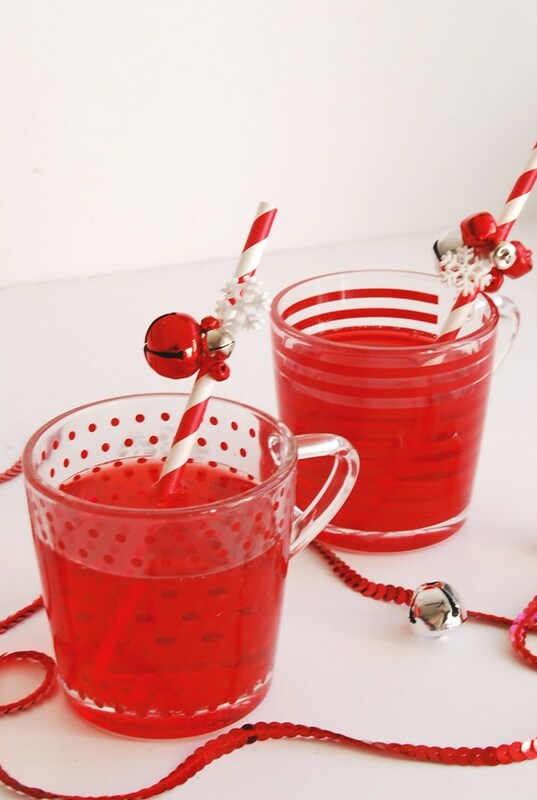 These DIY jingle bell straws are perfect for your holiday beverages this Christmas season. The craft is easy-breezy, and you can make it in five minutes. You could whip them out while your guests walk from the car to the door! Have fun! 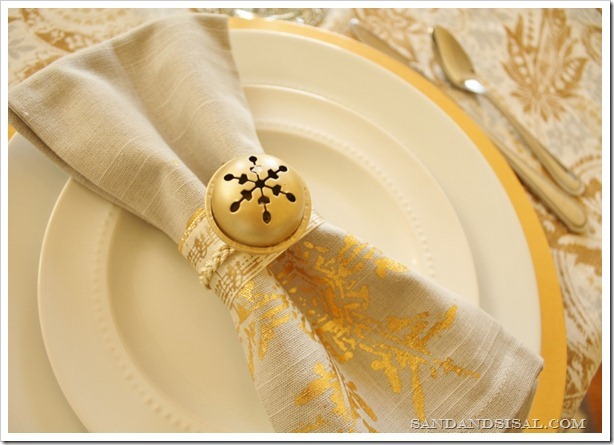 Accessorize your tablescape with pretty napkin rings of large jingle bells! If you have some ribbon, hot glue and a few jingle bells from the dollar store then you are good to go! The craft itself won’t take much time and will bring a strong holiday spirit to your table. Get crafty! Here’s another version of napkin rings of jingle bells, it’s pretty simple and resembles a wreath craft that we’ve already mentioned. 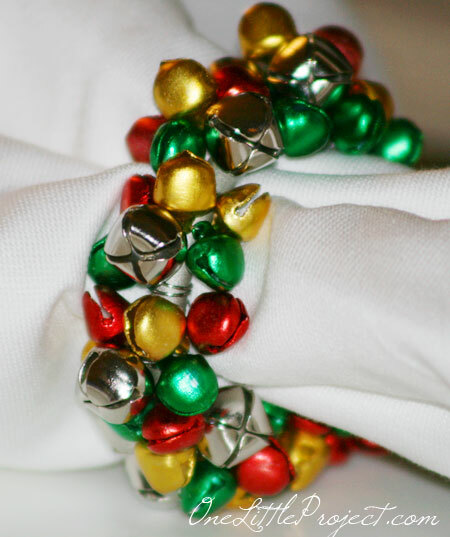 Take some wire and attach jingle bells to it to form proper napkin rings of the size and shape you want. Insert napkins and enjoy the festive look! 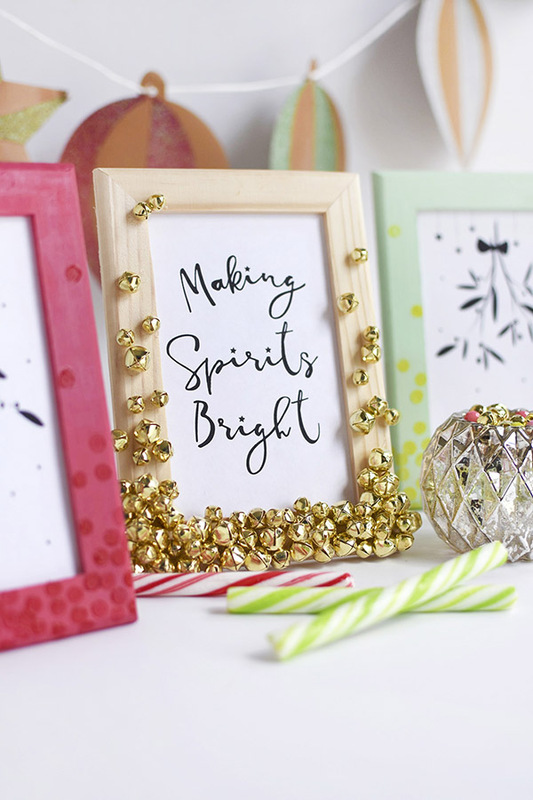 Create festive jingle bell holiday frames for a simple and modern look in your home, and they only take a few craft supplies to make. It adds such glitz and glam to your seasonal decor! Enjoy simple decor and create a whole group of such frames for your mantel or shelf, give some of them to your friends to make them happy – you may also insert some pics of your all inside. Need an alternative Christmas tree? Take a look at these wire and jingle bell ones! Use a variety of wire colors and thicknesses with beads or jingle bells. 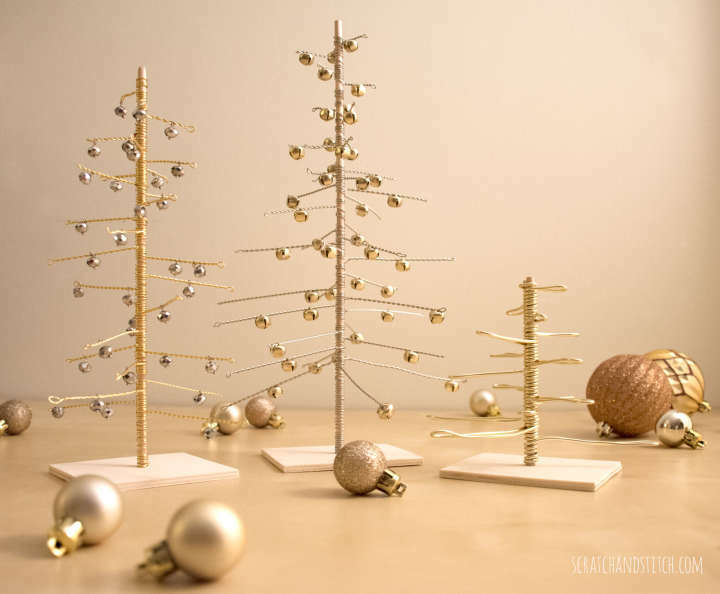 These wire Christmas trees work great for a holiday table centerpiece or decorated mantel. Metallic shades never go out of style, so you may use them year after year for holiday decor. Enjoy! Nothing says “Christmas” quite as much as jingle bells! 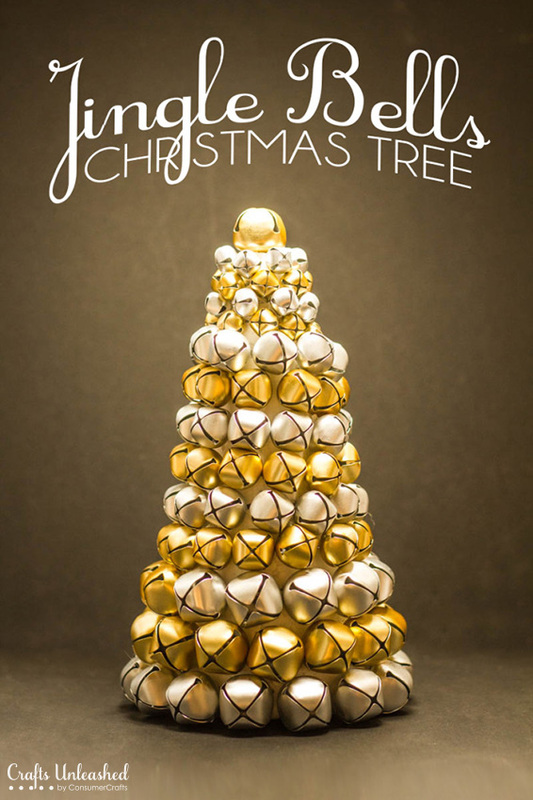 Here’s an easy tutorial on how to make your own DIY Christmas decor jingle bell tree that would be perfect for a mantle or tablescape. Such a tree will be a bold and catchy Christmas tree alternative to a usual one. It only requires three basic supplies and plenty of patience! If you like monogram wreaths, you can make a sophisticated and personalized gift – a monogram jingle bell wreath. Create this peppermint candy monogram wreath, it is super simple to put together and the results are beautiful. read the tutorial, make it and hang your new holiday monogram or wrap it up as a beautiful personalized gift! This easy Christmas garland meets all of possible holiday demands: easy, fun, cute, and affordable. A quick trip to your local craft store and you’ll have everything needed to make this garland for your own home. Not only can you use this on your Christmas tree, but it also looks perfect draped over windows, mantles, and mirrors. If you prefer rustic holiday decor, you need all things rustic! 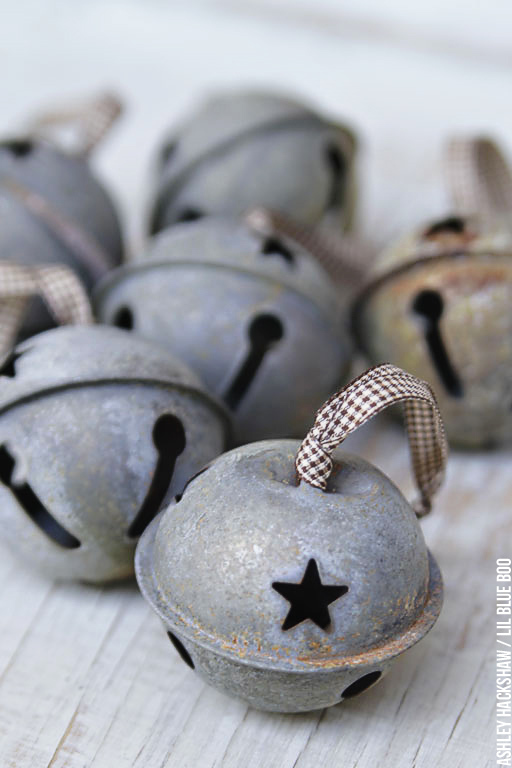 I love the look of rustic jingle bells! Not rusty, just rustic: the more aged, the more distressed the better. Read the tutorial and make cool rustic jingle bells of usual shiny ones to decorate your home or use them as gift tags.